The first CD release concert in the Rizzoli Music Aperitivo series marks also the launch of the international tour for the latest project led by Italian guitarist Marco Cappelli. His newly released album "Norwegian Landscapes" is freely inspired by the noir novels of Norwegian writer Jo Nesbø. For this project Cappelli has expanded his regular trio, with the addition of two special guests and a transnational line-up featuring American bassist Ken Filiano and clarinetist Oscar Noriega as well as the Japanese percussionist Satoshi Takeishi and multi-instrumentalist Shoko Nagai. "Norwegian Landscapes" (Da Vinci Jazz) completes Cappelli's "noir tryptic" after "Les Nuages en France" (Mode Records, 2011), dedicated to French writer Fred Vargas, and "Le Stagioni del Commissario Ricciardi" (Tzadik, 2013), dedicated to Italian writer Maurizio De Giovanni. To listen to a preview playlist of the concert please click here. Rizzoli Music Aperitivo is sponsored by Mionetto Prosecco and curated by Mondo Jazz, the weekly Radio Free Brooklyn show dedicated to international jazz. Please rsvp to [email protected] or simply reply to this email. Tickets may be purchased at the door for $20 and include complimentary prosecco. If you do not receive a confirmation email within 24 hours it means your rsvp has not reached us, so please write again. Marco Cappelli has led an extraordinary artistic path, first becoming familiar with rigorous written music, then with free improvisation languages. 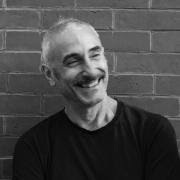 The diversity of Marco's performances is due to a fascinating array of collaborations (Avi Avital, Anthony Coleman, Michel Godard, Butch Morris, Franco Piersanti, Jim Pugliese, Enrico Rava, Marc Ribot, Elliott Sharp and many more) in jazz and avant-garde music festivals both as a soloist and in ensemble settings. Marco Cappelli currently lives in New York, where he is constantly involved with the contemporary and avant-garde music scenes. Active since the early '80s, bassist Ken Filiano has since contributed to dozens of albums, most of them pertaining to creative jazz -- from post-bop to free improvisation. An educator, the bassist has taught at the University of New Mexico (Albuquerque), New York State University (Buffalo), UCLA, and Rutgers University. In 2002 Filiano finally released his first solo album, titled Subvenire. The November 2010 release "Dreams from a Clown Car" marked the recording debut of Filiano's Quantum Entanglements quartet, featuring saxophonists Tony Malaby and Michaël Attias and drummer Michael T.A. Thompson. 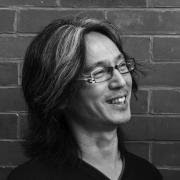 Drummer, percussionist, and arranger Satoshi Takeishi is a native of Mito, Japan. He studied music at Berklee College of Music in Boston, Massachusetts. While at Berklee he developed an interest in the music of South America and went to live in Colombia following the invitation of a friend. 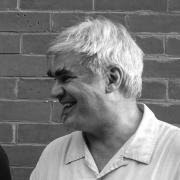 He continues to explore multi-cultural, electronics and improvisational music with local musicians and composers in New York. 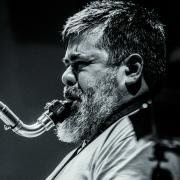 Clarinetist/saxophonist Oscar Noriega, multi-instrumentalist and composer, lives in Brooklyn since 1992. He has worked with Lee Konitz, Anthony Braxton, Gerry Hemingway, Dewey Redman and Paul Motion. He is currently performing with Tim Berne's Snakeoil, Endangered Blood (Chris Speed, Jim Black, Trevor Dunn) and colead with Jacob Garchek, the Mexico-inspired Banda De Los Muertos. Shoko Nagai is a composer, multi keyboardist and electronic musician. Born in Japan, she studied classical and jazz music at Berklee School of Music in Boston, developing a very original approach to intense focus and virtuoso sound. 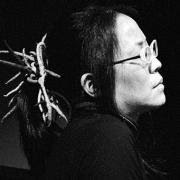 Since moving to New York in 1999 she has collaborated with John Zorn, Ikue Mori, Marc Ribot, Miho Hatori (Cibo Matto), Butch Morris, Elliot Sharp and many others. She has toured extensively, playing in Sweden, Italy, Austria, France, Switzerland, Holland, Japan, Israel, Brazil and USA.